The treatment for sleep apnea varies. Typically, patients are treated with a machine called a CPAP, which uses air blown through a mask to keep the airway open. The patient wears this mask each night during sleep and the settings of the airway pressure can be titrated to the patient's needs. This treatment can produce dramatic improvements. Patients who have apnea due to a structural problem can find success surgically. Typically, an ear, nose and throat specialist can evaluate the nose and throat to see if these areas are the source of the problem. If the patient is obese, they are strongly encouraged to lose weight. Again, this can be very hard, but lifestyle changes need to be initiated to encourage weight loss. Some patients find it very difficult to sleep with the mask and the CPAP machine due to improper settings or a poor fit of the mask. For those who do not use a machine, try to avoid sleeping in a flat position. Sleeping in a reclining chair or propped up on pillows will at least offset the pull that gravity exerts on the soft tissues. Sometimes the sleep apnea can be improved by appliances worn in the mouth. This may be done by dentists specializing in this area. Oral systemic balance (OSB) is a technique, developed after years of study by Dr. Farrand Robson, that helps keep soft tissues, in particular the tongue, in alignment and out of the way of the airway. OSB will not fix all complications from sleep apnea but it can produce significant results, and may benefit those who do not tolerate the CPAP. OSB has also been helpful in treating other chronic conditions such as chronic pain, fatigue, anxiety and fibromyalgia. More on OSB can be found by calling Robson’s office, 1-800-977-1945. A recent study on rats did show that an extract from green tea called L-theanine is helpful in preventing some of the decline in performance that may come with sleep apnea and fatigue [Source: Burckhardt]. Theanine has had previous research to support its benefits to the brain [Source: Kakuda]. Theanine should be considered for those who currently struggle with treatment for sleep apnea. The typical dosage is 100-200 mg a day. Sleep apnea is a growing health concern impacting many other chronic illnesses. Its leaving a billion dollar bill for health care, but fortunately it can be treated and managed successfully. Goldman: Cecil’s Textbook of Medicine, 23rd Ed., Chapter 101. 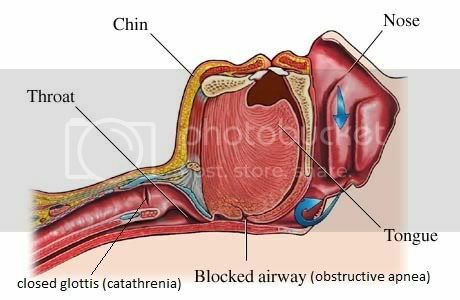 Obstructive Sleep Apnea-Hypopnea Syndrome. Connolly, TA. (2007). 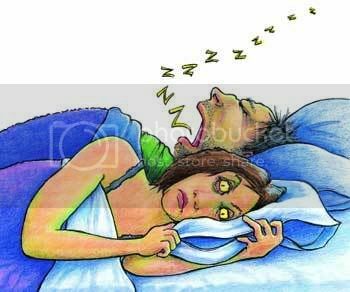 Sleep-related breathing disorder and heart disease-central sleep apnea. Sleep Medicine Clin, 2(1);107-117. Burckhardt, IC., Gozal, D., Dayyat, E., et al. (2008). Green Tea catechin polyphenols attenuate behavioral and oxidative responses to intermittent hypoxia. Am J Respi Crit Care Med, 177(10):1135-41. Kakuda, T. (2002). Neuroprotective effects of the green tea components theanine and catechins. Biol Pharm Bull, 25(12):1513-819(7):457-65.